Welcome to the Bergisch Cottage in Solingen! Are you looking for an accommodation, a holiday home, a holiday apartment or a trade fair apartment for your private or professional purpose? Then you are exactly right with us. With the Bergisch Cottage Solingen we offer you the ideal hotel alternative. 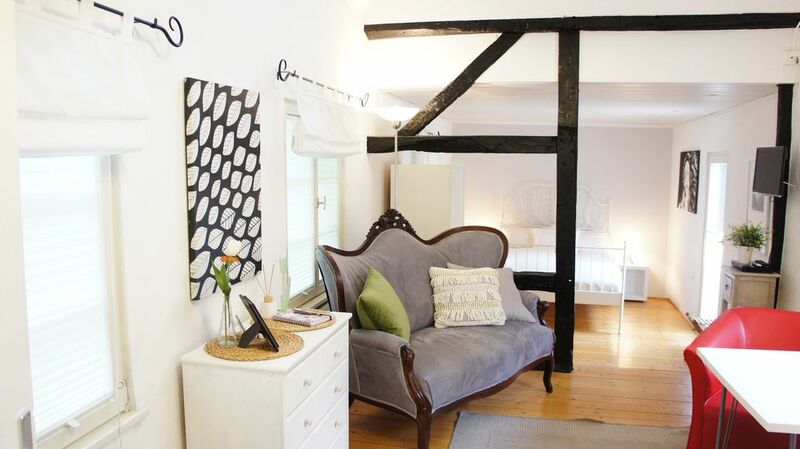 The Ferienhaus Bergisches Cottage Solingen is an idyllic gem where you can relax. The perfect combination of spacious and comfortable living, total peace and central location. From Solingen Gräfrath you have excellent connections to the cities of Cologne and Düsseldorf, and to the Bergisch city triangle Solingen, Wuppertal, and Remscheid. The location in the historic Solingen Gräfrath is therefore ideal and you will find within walking distance great restaurants and cute shops.